The BMTC bus commuters finally have something to cheer about. They can now check the buses on the routes they want, and keep the exact amount of change ready, thanks to the BMTC website that provides every possible information that’s helpful for a commuter. The website, mybmtc.com, launched early this May, is user-friendly with attractive features. The information process system is at par with the needs of the urban and sub-urban areas. The website has both English and Kannada languages. All the bus stations have been listed along with the contact numbers for major stations like Kempegowda (Majestic), Shivajinagar and Shantinagar. The contact numbers for the nine Traffic Transit Management Centres (TTMCs) at Jayanagar, Shanthi Nagar, Domlur, Yeshwantpur, Bannerghatta, Kengeri, Koramangala, Vijayanagar, Banashankari and ITPL are also provided. A 24/7 toll-free helpline number, 1-800-425-1663 has also been provided. There is an easy trip planner for a to-and-fro travel includes route timings, bus stops and Google map of the enquired route. There is an option of enquiring about AC services, General or Vayu Vajra bus services. There’s an option to print timetable, bus stops details, route details and also the map. The website provides the bus fare for the route chosen. Even the updated fares are shown on the website. In case there’s any confusion with respect to any particular bus, by entering the bus number onto the database; the complete information can be retrieved. When any particular destination is enquired, the database provides direct routes along with transit routes. The bus timings are inaccurate, mostly because of the traffic congestion. 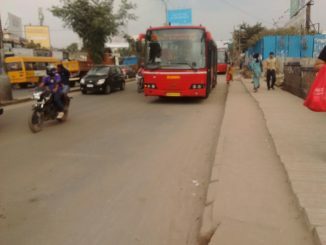 The bus routes are precise, except when a trial run was made, to travel from Shankar mutt to Vasanthnagar, the database showed no direct routes, whereas No.95 starts from Kamla Nagar and goes up to Shivajinagar bus depot. Ergo, the database needs frequent updating. The website updates travel routes in accordance to the traffic situation, like the Route No. 502-E from Hebbal was rerouted because of the traffic congestion at Alisda junction. The website also gives passengers the option of addressing their grievance or suggesting changes by posting it on the feedback page. The status of your complaint can be followed-up via SMS. The website also highlights the performance of the BMTC service every year. There has been a provisional performance report 2013 released on the website which shows 11% growth since 2012 in the first quarter. An interesting fact included in this report shows the number of road accidents involving BMTC buses has dropped by 25%. The bus passes are to be booked online through the BMTC website but the bus fare page is dysfunctional at the moment. The website also provides mandatory information regarding Right to Information Act, along with downloadable application form. The Android app for BMTC Info also helps one check out the route details on your mobile phone now. How will you celebrate the joy of giving this year? It is in giving that we receive the most, say the wise. 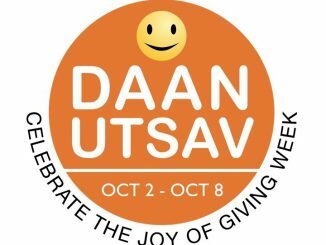 As Bengaluru joins the country in celebrating DaanUtsav 2016, here’s a list of opportunities for you to experience that joy! After two days of drama, late on Friday night, the employees on strike and state government worked out a compromise. But the fact that the list of demands included basic facilities like access to food, water and shelter, apart from salary hikes says a lot about the system.